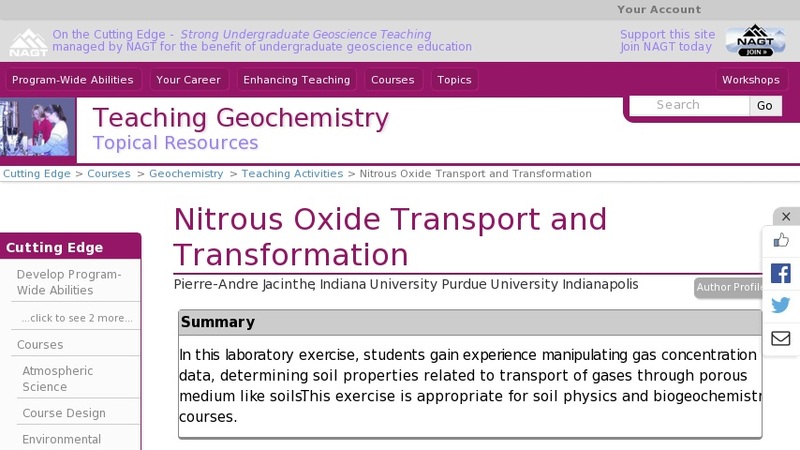 In this laboratory exercise, students add nitrous oxide to pairs of undisturbed soil cores. One core in each set of cores is treated with acetylene to block nitrous oxide transformation. The bulk of this exercise involves, injection and drawing of air samples. Students gain experience manipulating gas concentration data, determining soil properties related to transport of gases through porous medium like soils. This exercise is appropriate for soil physics and biogeochemistry courses.